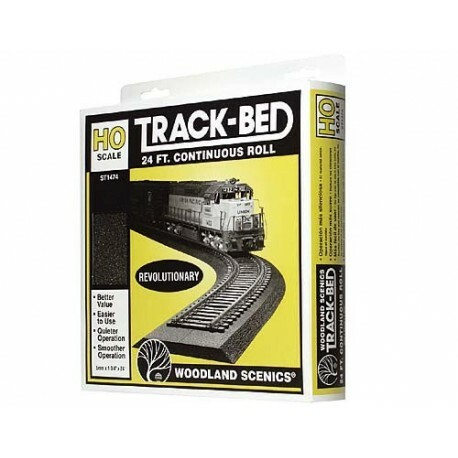 > Other scales>HO>HO Scale Trackbed Roll 24ft. 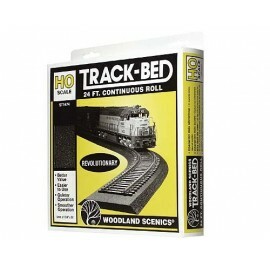 A quick and easy way to create your trackbed is to use the Woodland Scenics Subterrain system. 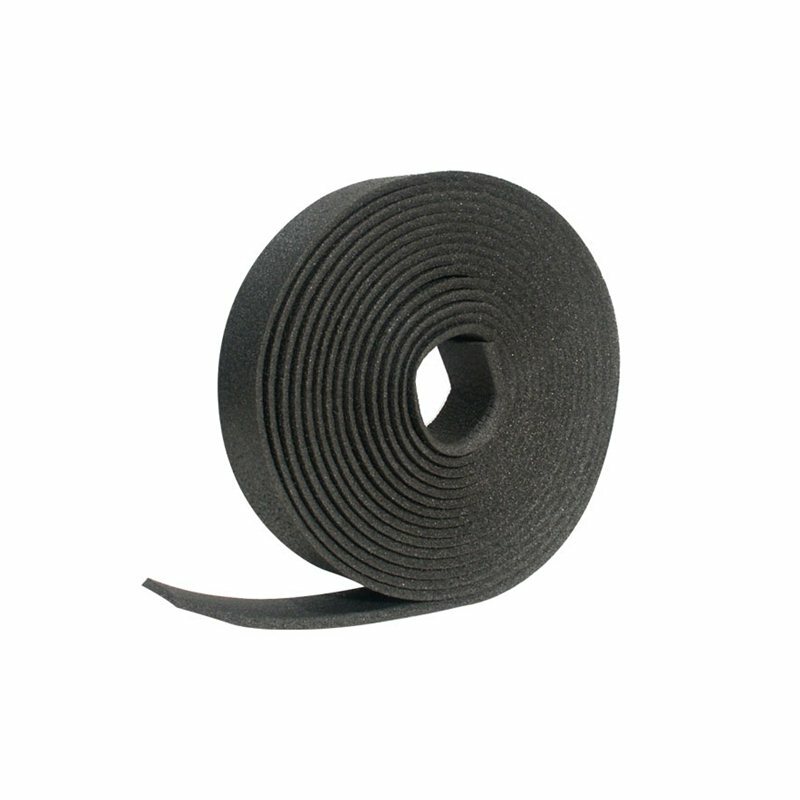 This trackbed roll provides a quiet surface on which to lay your track.. It is can be stuck down with WST1444 Foam Tack Glue or WST1432 Foam Nails. 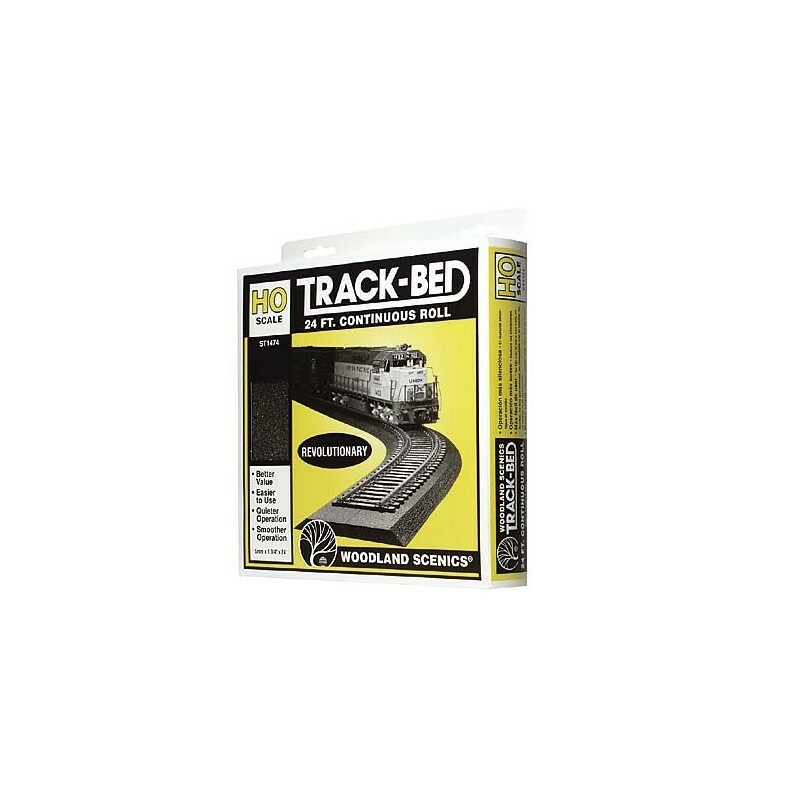 Also available: WST1461 OO gauge Trackbed strips - Bulk x 36, WST1471 OO gauge Trackbed Strips – x 12. Install easily with Foam Tack Glue™ (WST1444). Pin in place with Foam Nails (WST1432).